I am a credentialed Teacher and a licensed Realtor with Main Street Realtors here in Long Beach. 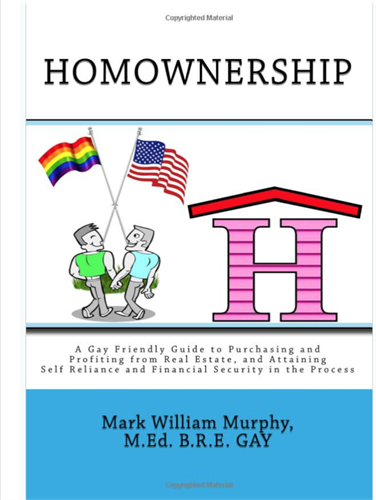 It is my goal to lead, to teach, to demonstrate, to mentor, to model, to encourage and maybe inspire, more gays to become active in the real estate market. Through timely, intelligent real estate investing, we can all live self sufficient, self reliant and financially secure lives. No more renting. We're here and queer and we're not going anywhere, so let's own it! Let's increase our physical presence and improve our financial prominence. Real Estate can get us there. C'mon, let's go!